Learn how to heal from the destructive hold of shame and codependency by implementing eight steps that will empower the real you and lead to healthier relationships. Shame: the torment you feel when you're exposed, humiliated, or rejected; the feeling of not being good enough. It's a deeply painful and universal emotion, yet is not frequently discussed. For some, shame lurks in the unconscious, undermining self-esteem, destroying confidence, and leading to codependency. These codependent relationships--where we overlook our own needs and desires as we try to care for, protect, or please another--often cover up abuse, addiction, or other harmful behaviors. Shame and codependency feed off one another, making us feel stuck, never able to let go, move on, and become the true self we were meant to be. In Conquering Shame and Codependency, Darlene Lancer sheds new light on shame: how codependents' feelings and beliefs about shame affect their identity, their behavior, and how shame can corrode relationships, destroying trust and love. She then provides eight steps to heal from shame, learn to love yourself, and develop healthy relationships. ..".If you begin to work through Lancer's exercises on your own, you will likely gain self-knowledge. Think of the book as a launch point for eventually getting closer to your authentic self, rather than an immediate solution, and it may just help you with some codependency issues." "It would be a shame not to give this book a try." "I picked this book up so I could better understand codependency and the association of shame. In that, Lancer's book fulfilled my need for knowledge. I was impressed with Lancer's breadth of understanding, the self-examination exercises throughout, and the information being shared within these pages." "This book is definitely a worthy read as well as eye-opening in how shame toys and plays with us." "I will keep this book with the rest of my resources that I found invaluable. In fact, I recommend this book to pretty much everyone." 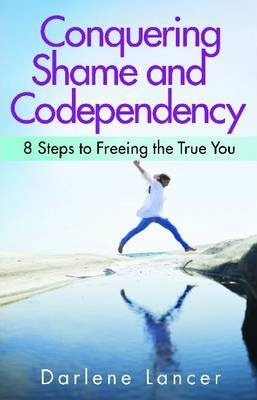 ""Conquering Shame and Codependency" just might be a great companion to keep on your shelf." "Teachers, family therapists, and school counselors will find this a good reference in identifying factors and solutions for those they may be concerned with assisting; and for anyone who has experienced the negative effects shame can produce, this book are recommended reading." "An eye-opener and a good food for thought read." "I recommend this book if you are going through a trying time and are looking for answers." Darlene Lancer is a licensed marriage and family therapist with over 25 years of experience working with individuals and couples. She regularly gives seminars on self-esteem, relationships, codependency, and addiction. Author of Codependency for Dummies, How to Speak Your Mind: Become Assertive and Set Limits, and 10 Steps to Self-Esteem, she has also published numerous articles as well as her own website, whatiscodependency.com. Darlene lives in Santa Monica, California.